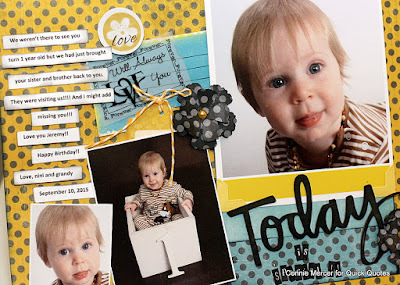 Hi, Connie here with a scrapbook page showcasing the Whistlin' Dixie line by Quick Quotes. I love the yellow color and how it makes other colors pop off the page. The blue is lovely with the yellow. The paper selections go so well with each other even though they are from other collections. Love when that happens. 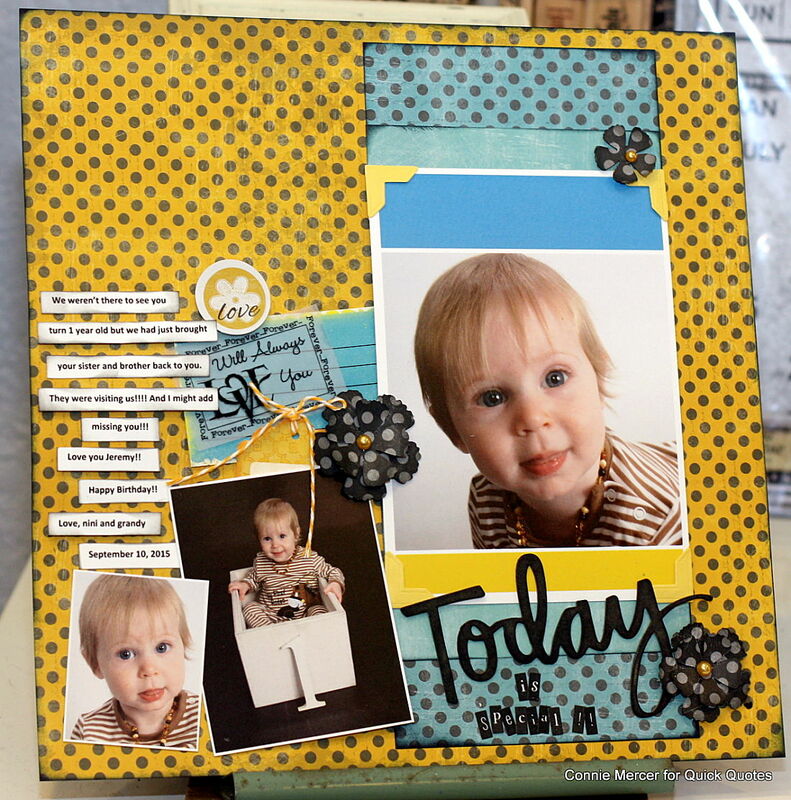 Makes doing a scrapbook page easy!! !